This is Lord Adama speaking. I want you to feel the essence of this mountain, not only the magic, but I want you to feel the intensity of what is occurring here within each of you. You have intuited within you this Golden Ray of Light of the Pure Essence of Love, which is what we of Telos so much embody, and what you of Lemuria did embody within you. This Circle of Light is about each of us connecting, it is not just about learning about what is on the New Earth. So, what I want you to feel is the connectedness we have with each other, as we now fully embody the essence of the Love and the Purity and the strength and serenity fully within you. As we stand at the peak of the mountain, there is nothing that bothers you. What bothers you is going to be instantly removed. Take a deep breath and allow that to occur. Feel the Violet Flame filtering through your entire being from the top to the bottom. Allow it to go into your mental thoughts, allow it to go into your emotional feelings, we want you to feel fully balanced when we go to Malton. It is honor for me to connect with each of you here. As we connect with each other, we are one. WE are deeply in honor that you truly want to be one with our energies, and that you are accepting of the frequencies that are occurring. Within these frequencies, there is great strength, no matter what is happening in the outside world. This is what matters in this moment, and this is what we need to embody to others. So, I want you to feel it, I want you to feel the essence of the mountain, to feel the frequency, and the space that you are in. Allow all those elements to fully intertwine within each other, allow yourselves to combine your frequencies of light as you never have before. Now we are ready to go to Malton. Let us take a deep breath. Please know that Malton is under construction, more under construction than any of the other cities that you have visited. It is very much under construction because of the debris that needs to be cleared up in the area. But Malton represents a great capital of a Golden City that will represent so much. The time that is being constructed, means that more frequencies can be added to the essence of the purest part of your heart within you. As we now move to the middle of the country, from Mount Shasta to the mid-eastern states of Indiana and Illinois. We now move into the Etheric realm. I want each of you to feel your Golden Machete as we do this as you feel the frequencies of light that are in the Etheric realm. Some can be very positive, but some can be lost as we know some souls. So there is going to be a little bit of individuality as each of you intuit what you need to do with your machete. You may be feeling some souls that are lost, you may be feeling some frequencies of light energies of the earth that need to be intuited with the golden light. Allow yourself to embody that now as we move into Malton. Malton is a very small space right now, it is in between Illinois and Indiana, it will increase, and this is one of the reasons that we wanted to bring you here at this time. 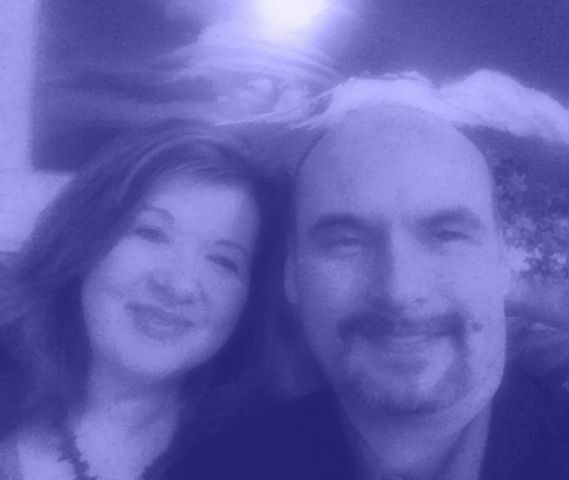 We fully want to assist you to intuit more frequencies here. Malton represents so much, but it is a small elements that we will be increasing at a later time. WE arrive into the city of Malton, the outlying areas are forest, lots of woods, mountains, running water, there are waterfalls. In the core of the city, of which we are landing, you see a structure, and this structure is for you to intuit Love and Wisdom. It is a Golden Pyramid, this golden pyramid reflects the Love and Wisdom deeply. We are going to walk into the Golden Pyramid, there is not much else structured around it, there are many plans. This is going to be an amazing city where one can come here and feel the totality of their essence be fully activated in Oneness of Love and Compassion. It is also a city that has not been fully erected yet, as this Love and the Compassion has not quite at a level that we choose it to be. There is so much that we need to be working with in the other areas. I am now going to step aside as Master Kuthumi comes forward. I will be your guide at the end. This is Master Kuthumi. Please come in, do not be shy. Our pyramid structure here is very, very large, it goes up 1000’s of feet and the parameter around it comes down into the outlining areas. As you walk in here you see an oasis, and within this oasis there are many different types of flowers, there are streams running, there is the frequency of Mother Earth, Father Sky, Grandmother Moon, and Grandfather Sun all within this space. This is the space of Pure Oneness all in this frequency. So please, please do come in. You will see there is an aisle way to walk and then there are different seating areas that will allow you to put yourself in different areas of nature. You will see golden flowers everywhere and the beauty of this pyramid as that it reflects the essence of the sun continually and you feel that Golden Yellow Ray coming through you and there is great warmth here. It never ever becomes hot, but a rather tepid temperature and cooling areas you will see. This pyramid goes for miles around, it is a circumference of at least a hundred miles, so it encompasses, we have done this here to have more of a protection field while we work on the other areas. It is also a place where souls come in, the Ascended Masters and all beings, including yourself to regenerate yourself. That is why the waterfall is there, there is a stream, there is a reservoir of water that you can swim in, there is an area where the sun is very strong, but then there are shaded areas from the trees. So we have devised in this structure all areas of environment. So please, please, do come in and look around and let your intuitive sense be part of this because this is also part of this ray. So as we come in to the middle part, there are outlying areas, and there is a circular area that has an altar, and there is a sandy area, and there are places for you to sit upon. There are seats, and cushions, you can choose to sit on the ground, very cushiony type of material. Please sit in a semicircle while I talk with you for a few minutes. It is with great honour that I bring you here and we have chosen to bring you here in this time as all of your Golden Machetes have been activated. As Meleriessee was speaking, the Golden Machetes are not just about assisting the environment ~ the land masses, it is also to assist first yourself. So let’s all take an internal inventory, it is very important before one does the work, that you internalize within yourself if there are any aspects that need to be looked at and brought forth. So let’s take that internalization right now and take a deep breath. The reflection of this pyramid will help you in understanding what it is maybe you haven’t looked at fully. Allow yourself to fully accept the divinity that is occurring for you. Each of you are at a crossroads, just as Mother Earth is at a crossroads, and each of us walking and working with one another. I am pretty impressed with the group of you, if you do not know who I am, I am Master Kuthumi, I am a World Teacher, I am assisting in this Golden City. This is a golden city that a lot of initiates and Lightworkers will come to fully understand themselves so that they can assist. We have asked Meleriessee to wait until this time, because the Earth was at a critical mass and you are at the critical mass at this time. It was very important for certain individuals become awakened, and what better way than to come into a golden pyramid. At the point of the pyramid, is represented by Divine Mother and Divine Father God, it is also represented by Lord Metatron and Lord Melchizedek. The outlying areas of the panels that come down are representative of the 352 levels of initiations along with 49 dimensional frequencies. This is why the pyramid is so large and what it represents. It represents so very much in the initiation and the global and in the Priesthood of Melchizedek and the conglomerate understanding of what an initiate is all about, you can come into this pyramid and get more of an understanding, if you do not. The most important thing is that you have balance within your mental and your emotional levels, so that your Mental level in your physical body is not activated. We want to help you to fully activate your I AM Presence in this pyramid, it is very essential. You are being reared to be a leader, a teacher, a healer that is very important, this is what this pyramid represents. Those of you that feel that you are not quite there yet, it does not matter, the point is that you are not going to walk out of here and be initiating work on a higher level immediately, but this is a start. This is an initiation phase, this pyramid will help you to initiate that process. It is my pleasure to be your Spokes-Being, your guide in this group of individuals. I am a leader when I work with the 3rd dimensional people of Earth that are trying to help the leaders of this world when they are not waking up. You are here in this moment to help others to wake up. You may not think that you are fully ready to be in this space, but that is not for you to decide on the physical level, it is for your highest presence. When I say your Highest Presence, I go beyond the higher Self, to the I AM Presence; the conglomerate of souls that you are working with that have deemed you to give forth these teachings and these effect onto others on earth, and you are being guided by these 144 souls that are part of your Soul’s Monad. Your personal family of the first 12 are activated more fully than you realize, and everything that you do will be more affected with them. So please know that, as we say, As We Do For Ourselves, We Do For Others. What We Don’t Do For Ourselves, We Don’t Do For Others Also. So it is very, very important. There is responsibility coming to this city and this is why we have waited to open up the doorways of this city. I know that Meleriessee was unsure about this cit,y because of the debris that needs to be cleared out, but this is why your are here. So let’s take a deep breath and let’s feel this filtering of this purification of this pyramid. It’s going to come through to you. You are being guided by Lord Metatron, and Lord Melchizedek. Lord Melchizedek represents all of the initiates, and Lord Metatron represents the Golden Pathway, the Golden Ray beyond the frequency of this ray to assist you in the power upon this Earth. Once again, we have the Divine Mother and Divine Father God overseeing each of us more deeply than we have ever thought possible. So let’s take a deep breath and let’s feel the effects. 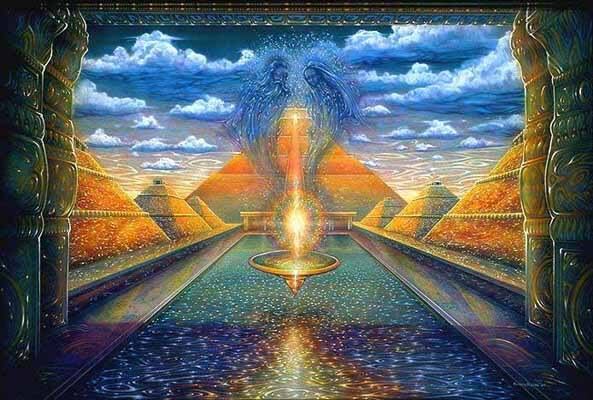 As we feel the effects we feel a streaming of energies of the Golden Yellow coming from the facets of the pyramid structures. Allow yourself to just reflect within you what is occurring for you in this moment because you are being activated in a new way than you have been before. What did not serve you previously will now serve you. It is all a matter of timing in what you are ready to receive. Allow this to incorporate within you in this moment. Allow yourself to shut your mind. Allow yourself to receive the intuition and allow yourself to be in a space of Oneness, and it will go to the rest of all of us. Let us now hold hands together, and let us all now arise, as we are guided by many other masters that are coming into the pyramid, along with the Elohim councils, and the Archangels. Breathing deeply, feel the connection, this is the ray of Love and Wisdom. Feel it infiltrating within us. I have with me of the Office of the Christ; Lord Matrieya, Lord Buddha, Ascended Master Djwahl Kuhl, and Elohim Masters Apollo and Lumina, and Archangels Jophiel and Christine. Behind us stand all the other Masters of all the Rays of the God force. Allow yourself to feel the infilitration of that light within you. This city is about Fruition And Attainment Of Desires. You stand before us as an initiate, you stand before us ready to take your machete and assist as many land masses, assist as many souls, and individuals upon the planet as possible. First, let’s take a moment of each of us individually. This is the most important point, we cannot help others if we do not help ourselves first. So I ask of you, take a deep breath, what is it in your life that is blocking you or does not serve your highest purpose and your having the challenge of letting it go. I ask of you, to follow me, as you follow me, we walk around the edge of where we were sitting, and behind the altar and there is a beautiful waterfall. Each of us is going to stand in that waterfall and we’re going to release in this moment; there are many moments where these happen, and just because you become an ascended master does not mean that you do not have things that happen to you that affect you. They just affect us at a lesser degree and we know how to deal with them. We step into the waterfall and it’s pure Golden Yellow light, allow yourself to purified by this waterfall, allow it to flow through you, feel the essence of this waterfall and what occurs for you. Feel the Love, feel the Compassion, and feel faithfulness to yourself, and you are very clear to yourself of what you need. You step to the other side of the waterfall, standing there is a Lady Master and she has a beautiful robe. The robe may be any color material that you choose, it may be flowered, it may be geometric, it may be one color or several colors together, it may be silk, it may be warm like a blanket. We now walk around the back of the waterfall and we find ourselves in a wooded area, there is a coolness that happens here, and within this coolness, we find ourselves in a beautiful garment. This is our garment, of the reflection of our Mastership at this moment. Feel that garment around you and the Essence of it, and the Power that is You. You are met by Lord Buddha, and he has for you, a gift. Each of you, single file, go up to Lord Buddha, he embraces you, he kisses your forehead and each cheek. You bow before him and he has a gift for you, put out your hands and see what this gift is. It may be something tangible, it may be something intangible, it may be something that you need for your work, or for your own Divine Self. Let’s take a moment and receive this gift. Put the gift to your heart, and it may be something for you to receive at a later time or it may be something that you need right now or different parts that you will receive. You arise and give Lord Buddha an embrace, and know that the connection is much deeper than it ever has before. Let us now go back around the left side of the altar and find our seats, now I want you to feel the power that is within you that you have received. You should feel a strength, and feel very patient with your self and very calm. You have embodied the Golden Ray of Love and Wisdom fully within your Being. You are being inducted to teach others the way to do the same. I now step aside as you look at the altar. The altar is, of course, Golden Color. There is a specific gift for you, there is water outlining around the altar, there is a waterfall in the middle with flames of the Golden Ray through the waterfall. I want each of you to go up to the altar, and touch the altar, and I want you to see, there is a stone, a rock, a crystal, a trinket for you in the water. I want you to give a part of your self, and a promise of your responsibility, it is between You and the Flame of the Golden Ray of the Divine Mother and Divine Father God. We will be silent in this moment. When you are ready, return to your seat. Each of you now will take out your Golden Machete from the right side of your body, and I want you to intuit where you are going to send this Golden Flame. Just hold it in front of you and state a destination or think of a place. Do you want to be in the Etheric level? Do you want to be in the Earth Plane level? Do you want to assist souls? Or do you want to assist physical individuals? Or do you want to heal parts of the earth that are separating? Let’s take a moment, and now do our work separately. Remember if you are assisting individuals, you can not take away their pain, but you can assist them by bringing in the Love and the Wisdom from the Golden Ray. The same thing with souls in the Etheric realm. Now with your Mind;s Eye, come back into your own Being. Take a moment and bring the Golden Ray back into you, balance your energies from what you have just shared. Now as a group consciousness, we’re going to ask that we expand our energies together into Illinois and Indiana, so that this city can be constructed more quickly. As you see, it is very, very important, so allow us to expand our energies together in Oneness. I Am a conductor of the Golden Yellow Flame for Healing, Regeneration, and Resurrection into the areas of Illinois and Indiana to expand the area for all to experience. Feel the expansionness in the Pyramid as the frequency of the flame now is filtering from the top through every nook and cranny of the pyramid of the Rays into your Being. Let us stand together. I, Master Kuthumi, Am very honored that each of you are here in this moment. I ask of you to return, and to do this work. You can do the work without coming to the pyramid. The pyramid will help you to regenerate. If you choose to do the work on your own, please do come to the pyramid to regenerate yourself. It will give you great assistance. I look forward to working with each one of you individually. It has been my pleasure this evening to work with you collectively. Let us now arise, and we walk back down the pathway. Feel the birds singing, and there is so much frequency of Love in this space. As we walk out, we realize, that we are creating our own destiny right here. Intuit within yourself what your desires incorporate and to bring and attain those desires physically within your being. I Am Master Kuthumi, at your service. This is Lord Adama, once again. This has been a very pleasurable trip for myself, and for all of us that have been working with you and to see the deepness of your Souls, to see the ability to infiltrate these frequencies into your entire being and through the Earth. We cannot fail because we are together as we were once before and this is the beauty of each of us coming together at this time. Let us now come closer and create our Merkabah vehicle and to come back to the point of Mount Shasta. Breathing deeply, we move off of the Etheric level of the city of Malton~ spinning across the plains, across the mountains, moving towards the peak of Shasta. As we separate into our own Essences, I want to say, that I am honored that each of you are taking the challenge of stepping forward, as Meleriessee has done. Please do join us in Telos to regenerate, and to help yourself realize that these times are coming, that we will be reflecting upon each other in the space of all that is. Take a moment and feel the essence of this peak, and what it means to each of us, as we bring forth the frequency of Mount Shasta within our being, and shall never be removed, as you allow the magic to unfold within you in each moment. I AM Lord Adama, at your service High Priest of Telos, it is my pleasure to be with you in these moments. This entry was posted in 5th Dimension, Ascension, Channeling, Golden Cities, Golden City of Malton, Lightworkers, Lord Adama, Master Kuthumi, Meditation, New Earth, Ray of Love and Wisdom, Telos and tagged 5th Dimension, Ascension, channeling, God Force, Golden Cities, Golden Era, Lightworkers, Lord Adama, meditation, New Earth, Oneness, Ray of Love Wisdom, Telos, Terra Christa. Bookmark the permalink. Learning a ton from these neat artclies.